Land use change on Indonesian peatlands contributes to global anthropogenic greenhouse gas (GHG) emissions. Accessible predictive tools are required to estimate likely soil carbon (C) losses and carbon dioxide (CO2) emissions from peat soils under this land use change. Research and modelling efforts in tropical peatlands are limited, restricting the availability of data for complex soil model parameterisation and evaluation. The Tropical Peatland Plantation-Carbon Assessment Tool (TROPP-CAT) was developed to provide a user friendly tool to evaluate and predict soil C losses and CO2 emissions from tropical peat soils. The tool requires simple input values to determine the rate of subsidence, of which the oxidising proportion results in CO2 emissions. This paper describes the model structure and equations, and presents a number of evaluation and application runs. TROPP-CAT has been applied for both site specific and national level simulations, on existing oil palm and Acacia plantations, as well as on peat swamp forest sites to predict likely emissions from future land use change. 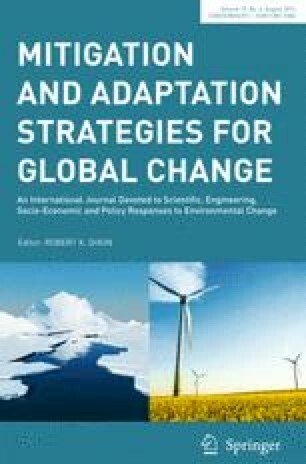 Through an uncertainty and sensitivity analysis, literature reviews and comparison with other methods of estimating soil C losses, the paper identifies opportunities for future model development, bridging between different approaches to predicting CO2 emissions from tropical peatlands under land use change. TROPP-CAT can be accessed online from www.redd-alert.eu in both English and Bahasa Indonesia. The authors are grateful for financial support for this paper from the European Union under the REDD-ALERT (Reducing Emissions from Deforestation and Degradation from Alternative Land Uses in Rainforests of the Tropics) project, Grant Agreement number 226310. Thanks are given to Setiari Marwanto of the Indonesian Soil Research Institute for making available data used in the model evaluation. The authors have no other relevant affiliations or financial involvement with any organisation or entity with a financial interest in, or financial conflict with, the subject matter or materials discussed in the manuscript apart from those disclosed. PS is a Royal Society-Wolfson Research Merit Award holder.